I am Victoria (Tory) Bell - I was born in 1994 and I am a ski racer representing Ireland at International level. In 2011 I was the only girl to represent Ireland at the European Youth Olympics in Liberec, Czech Republic (www.eyowf2011.cz) where I carried the flag at the closing ceremony. In 2012 I was the only athlete to represent Ireland at the World Junior Alpine Ski Championships in Rocarasso, Italy where I carried the flag at the opening ceremony. I was awarded an Olympic Scholarship by the International Olympic Committee at the end of 2012. 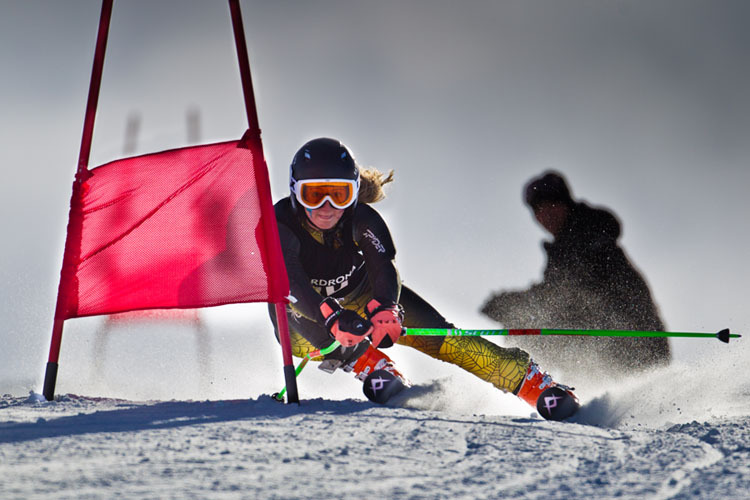 In 2013 I captained my school team (King Edward VI Handsworth School) to the "Overall School" and "Overall Team" trophies and 23 other podiums in total at the British Schoolgirls' races in Flaine; a new record for any school in this event's 50-plus year history. I also represented Ireland again, as the only female athlete, at the World Alpine Ski Championships in Schladming, Austria. During the 2013/2014 season I finished with 7 top 15 places, 3 top 10 places and finished 2nd in GS at the Greek National Championships, missing out on winning the race overall by 0.02 of a second. During 2013/2014 I trained and raced in New Zealand, Austria, China, Japan, Spain, Germany and Greece. I also competed for Ireland at the World Alpine Ski Championships in Vail & Beaver Creek (in the USA) in February 2015. In December 2017 I was very pleased to represent my University at the Oxford-Cambridge varsity ski races in Tignes, France. More importantly, I was proud to contribute to team Cambridge regaining the title in both GS and Slalom and to winning the Slalom trophy myself! And for my efforts I have been awarded a full Cambridge Blue!